Anyone heard about the theory of colonising planets using self duplicating robots? In short, program and equip robots with capabilities for mining and manufacturing; sent them to other planets; in this new planet they will mine for ores, convert them to metals and manufacture new robots with same or better capabilities; then send the new ones to other planets; and the process will continue. This may look an unrealistic fantasy story. Indeed it is. But many radical path breaking discoveries emerged first as unrealistic fantasies. 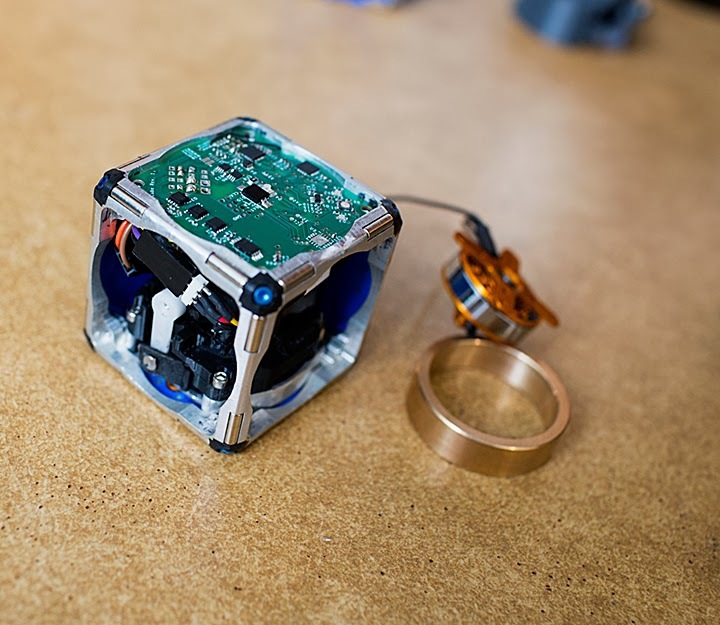 MIT’s Computer Science and Artificial Intelligence Laboratory (CSAIL) scientists came up with cube shaped robots (known as M-Blocks) that can "flip, jump and assemble themselves into different shapes". According to a BBC report, "M-Blocks are currently controlled by computer instructions sent over wireless radio, but in future the researchers hope algorithms can be loaded on the blocks directly, making them entirely autonomous and capable of adapting to different environments". MIT document describes M-Blocks as, "the robots are cubes with no external moving parts...able to climb over and around one another, leap through the air, roll across the ground, and even move while suspended upside down from metallic surfaces. Inside each M-Block is a flywheel that can reach speeds of 20,000 RPM; when the flywheel is braked, it imparts its angular momentum to the cube. On each edge of an M-Block, and on every face, are cleverly arranged permanent magnets that allow any two cubes to attach to each other." With these discoveries we may add one more step in the direction of self assembling bridges, new ways of doing critical surgeries etc.